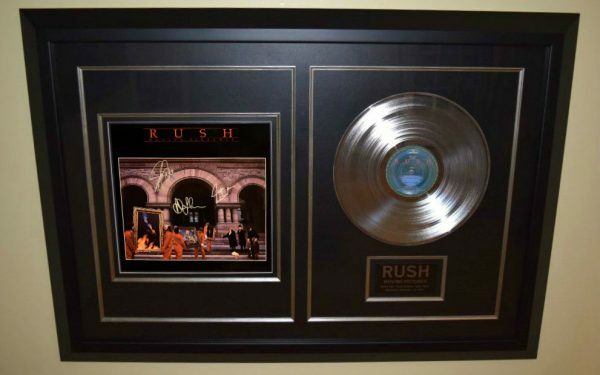 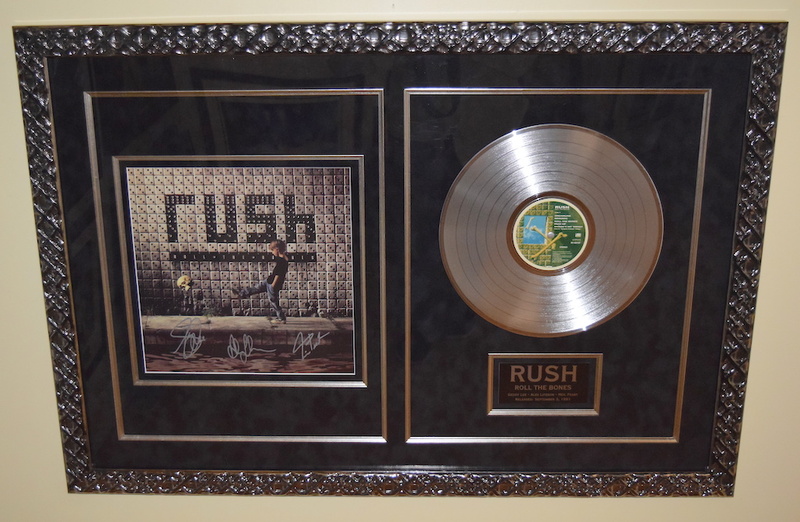 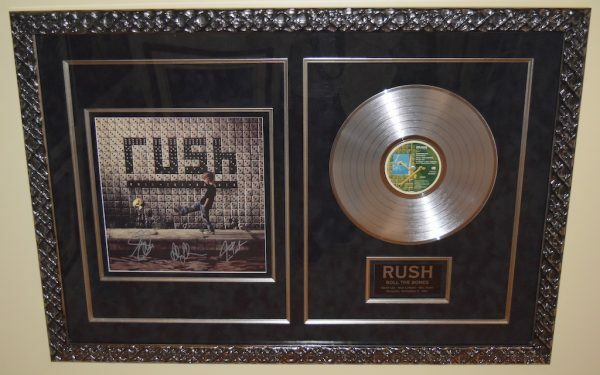 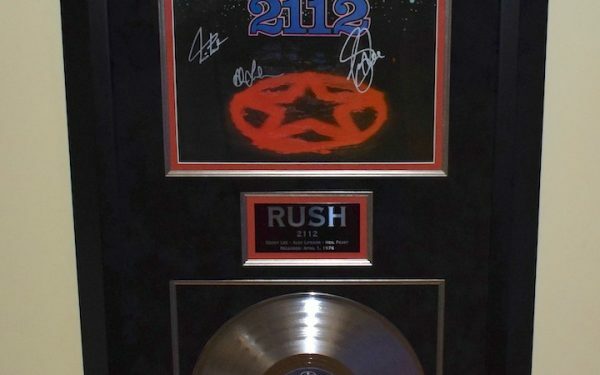 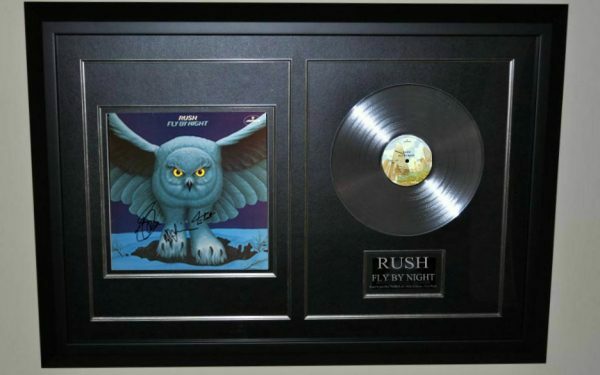 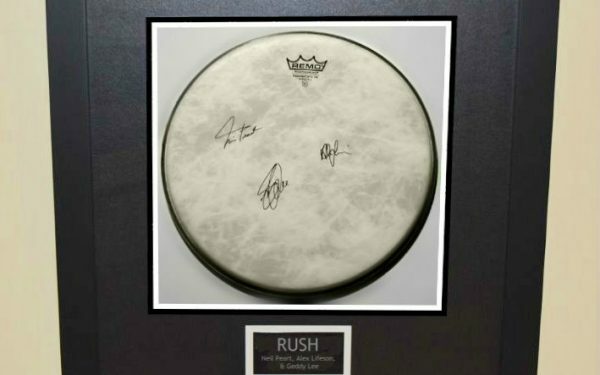 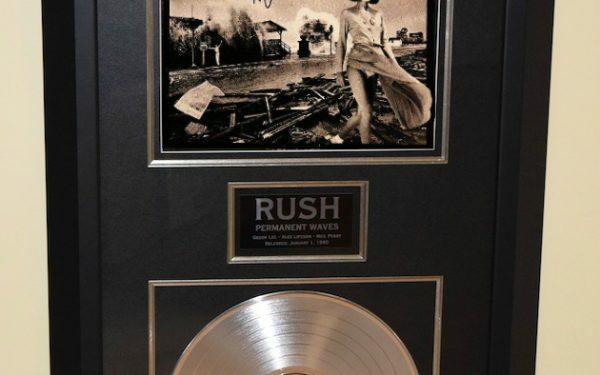 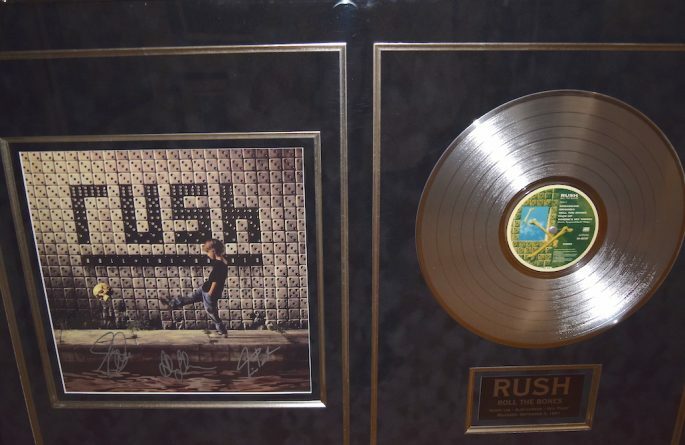 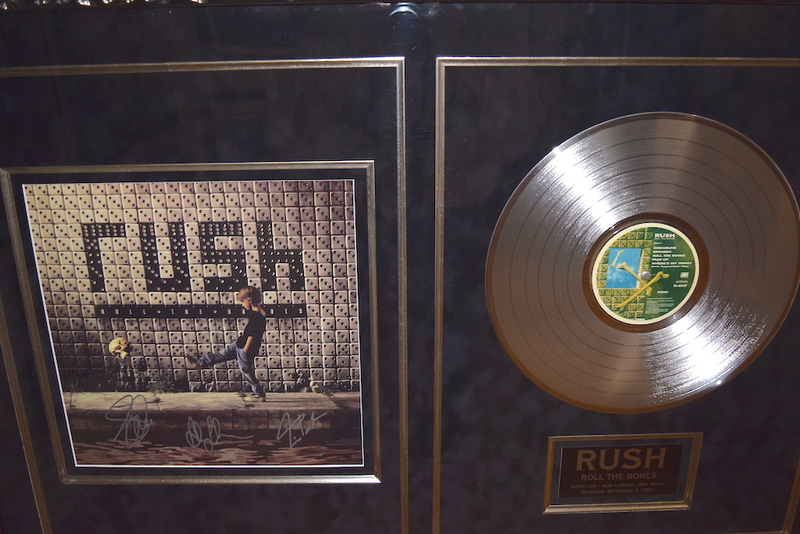 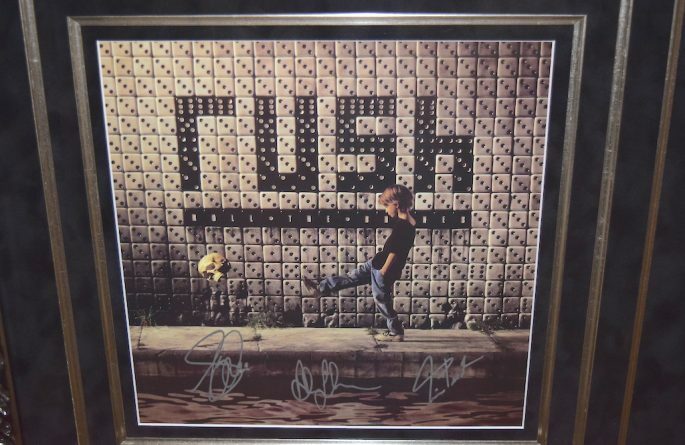 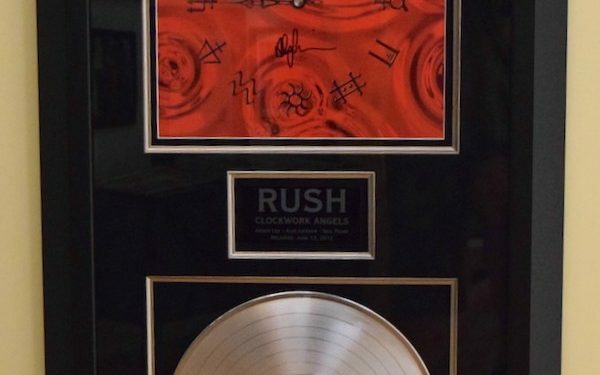 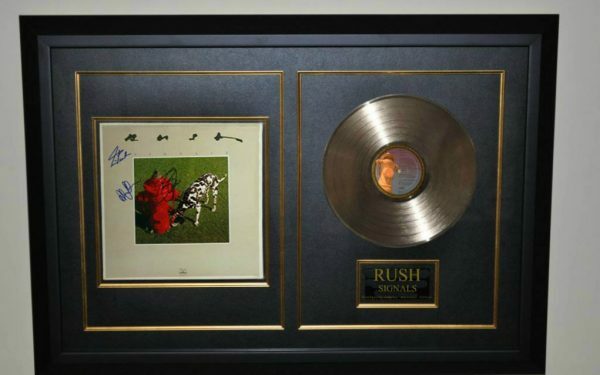 Hand signed by Geddy Lee, Alex Lifeson, Neil Peart. 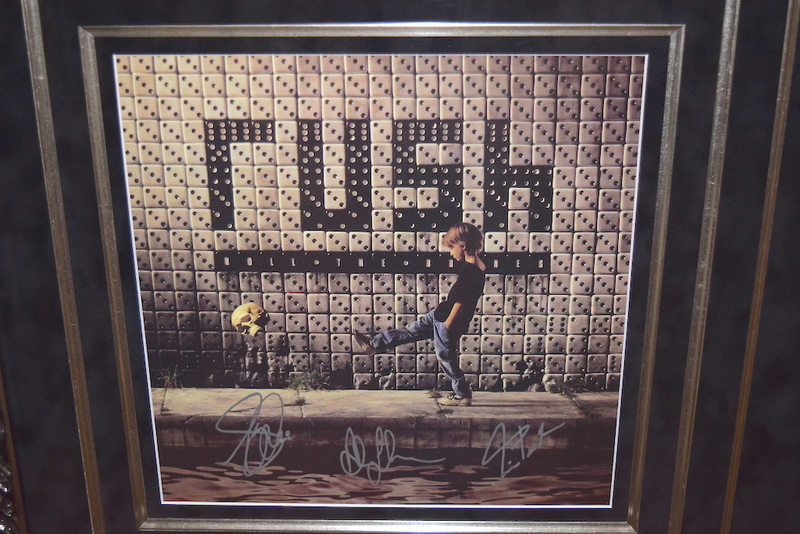 Custom Designed with a Spectacular Custom Imported Dice Frame with Black Suede. 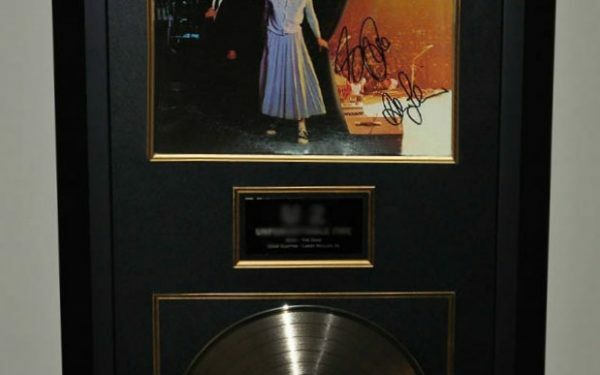 Included is a Genuine RIAA Platinum Award Album.